The CSA (Community Supported Agriculture) concept is a wonderful way to connect with our farm community and enjoy the flavors of the season here in coastal Maine. The CSA model supports our farm in the late winter and early spring with the harvests are small but costs for getting the season up and running are high. Participating in our farm share programs is a fun, engaging and affordable way to put more fresh, certified organic food on your table and to be part of a supportive and energetic community of your friends and neighbors. We have retired our traditional pre-selected program. We hope that our free choice style CSA will provide you with a flexible, convenient way to continue to be a part of the wonderful community that has grown around Morning Dew Farm. We want to take the stress away from being part of a CSA and help you get the most for your dollar. If you love arugula you can grab a bag every week, and if you'd be happy to never see another head of fennel we've got you covered there too. Itching for the first tomatoes of the season? You don't have to wait until 100 ripen at once! With 2 weekly farmer's markets in town, and a "pop up" farm market at the Newcastle farm, there will be 3 weekly locations to shop. And with square- style debit cards, you can shop, swipe and go. Purchase a Free Choice CSA share in $100 increments and receive additional bonus dollars. Your choice of Morning Dew produce any time over the course of our farming season at the following locations. Shares purchased before June 1st receive $10 bonus dollars for each $100 share purchased. After June 1st, $5 bonus dollars per $100 share will be added. CSA cards are available for pick up when the market season begins at Saturday Seedling Sales and at our Farmers’ Market booth. sign up by June 1st for $10 bonus dollars on each $100 share. Shares may be purchased after that time for $5 bonus. To join, fill out the registration form below. Then send your payment to: Morning Dew Farm, 5 Trails End Rd, Newcastle, ME 04553. Financial aid is available. Use this link to apply for a discounted share. Please select your payment option. For every $100 you spend, you receive $10 Bonus Dollars in farmers' market credit. At which location(s) do you plan to shop most weeks? By submitting this form and sending payment I confirm that I understand the following. 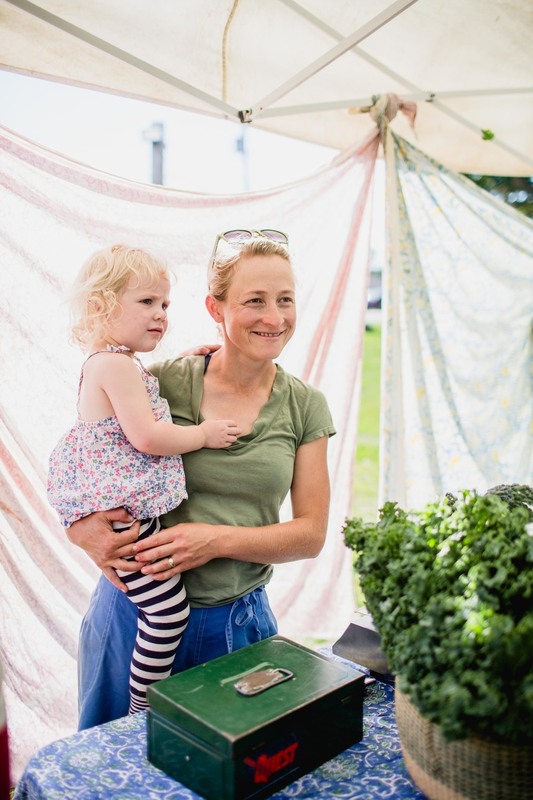 My payment entitles me to credit at the Morning Dew Farm (MDF) booth at the Monday and Friday Damariscotta Farmers' Market, Morning Dew Seedling + Supply and MDF pop up markets and farm stands during the 2019 season. Exact market dates are available at www.damariscottafarmersmarket.org or by contacting MDF at 350-5075. Pending payment, I will be entitled to the value selected above and I understand that the value is good for the 2019 farmers' market season. I understand that the fruits and vegetables available at the MDF booth will be grown and harvested at MDF, except in the rare cases that MDF may buy in additional organic, Maine-grown fruits and/or vegetables which will be clearly labelled as such in our market booth. I understand that my payment is nonrefundable and that I share in the risk and reward of the growing season with the farmers. I understand that it is my responsibility to use up my Market Money Flex Dollar value during the 2019 growing Season. I understand that, as a Market Money holder, I am supporting sustainable agriculture in my community, and that my farmer really appreciates my business!